A couple of weeks ago an email arrived in my inbox inviting me for a visit to Kunjani Wines. I went online to their website and was immediately intrigued by their payoff line – are you adventurous enough for this wine? Being an avid supporter of boutique estates and always up for an adventure I was excited to take them up on their generous offer. Wow, aren’t we glad we did! We arrived at the picturesque estate in Devonvale in Stellenbosch and were soon introduced to each member of their small team, every one of whom were incredibly friendly, helpful and charming! “Kunjani” means “Hi, how are you?” and isn’t that is exactly how great relationships start? 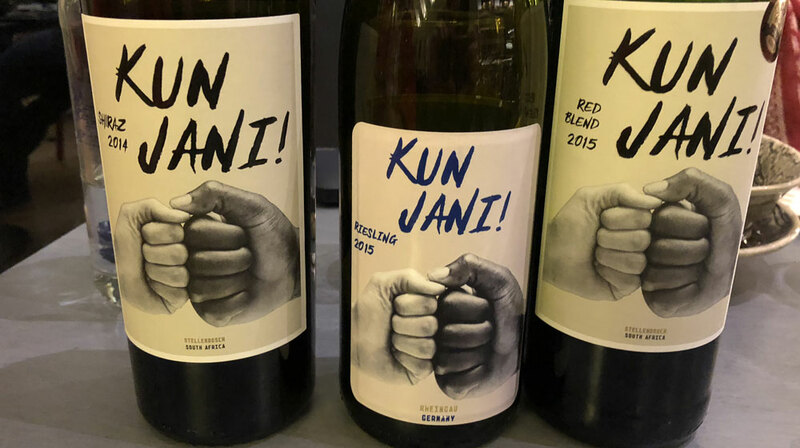 Everyone loves a story, and Kunjani Wines have a few sweet and poignant ones which Grace, the tasting room assistant, shared with us as she took us through our tasting. 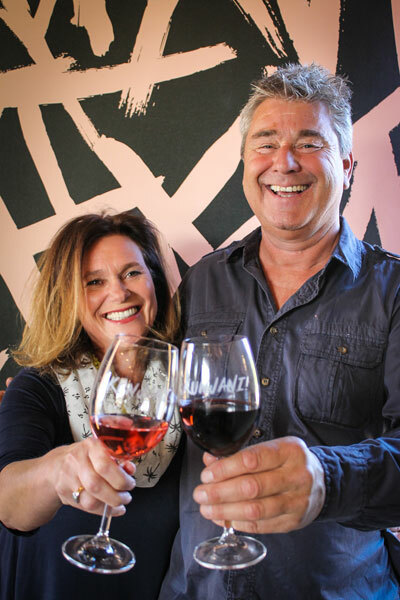 The brand, Kunjani Wines, was conceptualised in 2011 when a chance encounter between German Entrepreneur, Paul Barth, and South African Businesswoman, Pia Watermeyer, birthed a vision for a cross-continental wine. The tasting room facility and restaurant were then opened a year ago in November 2017. 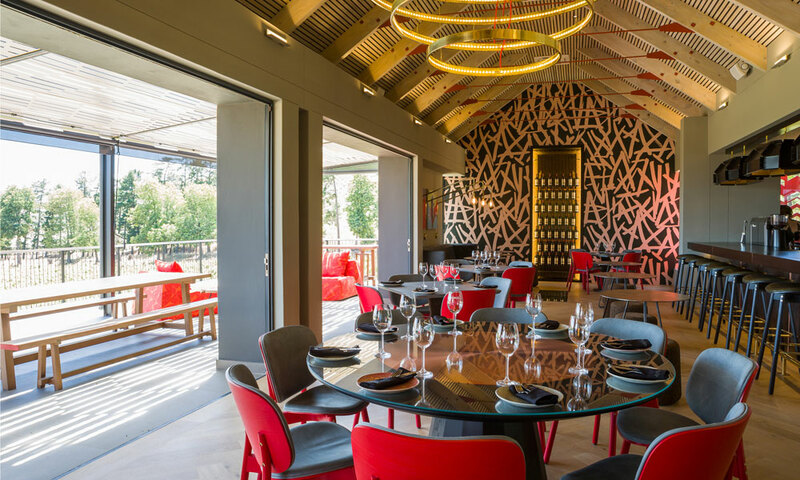 The striking tasting room was conceptualised by owner Pia, and top South African designer Haldane Martin, and features stylish yet soulful contemporary interiors with pops of bold red and orange. 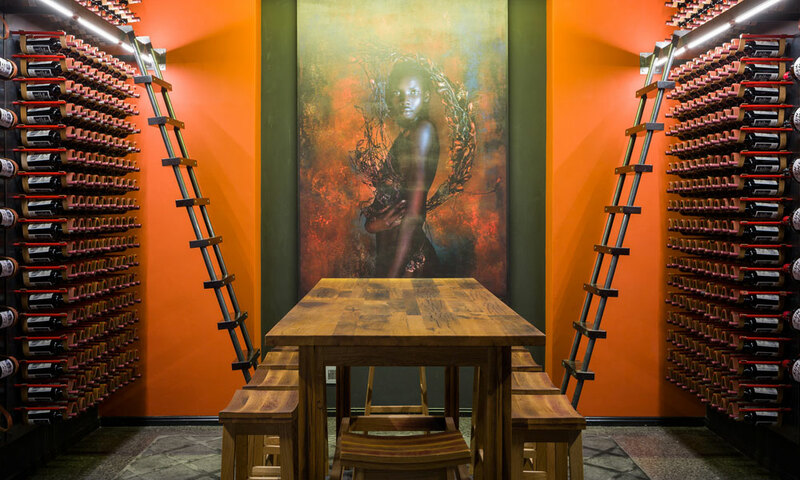 Its custom fittings and furnishings are combined with luxurious finishes with artworks by local artists Krisjan Rossouw and Peter Pharoah. Carmen Stevens is the consulting winemaker and recently scooped their very first Gold medal for the Kunjani ungathi kuShiraz 2015 at the highly acclaimed Michelangelo International Wine Awards. For a farm who has only been producing Shiraz since the 2014 vintage this comes as no small feat. 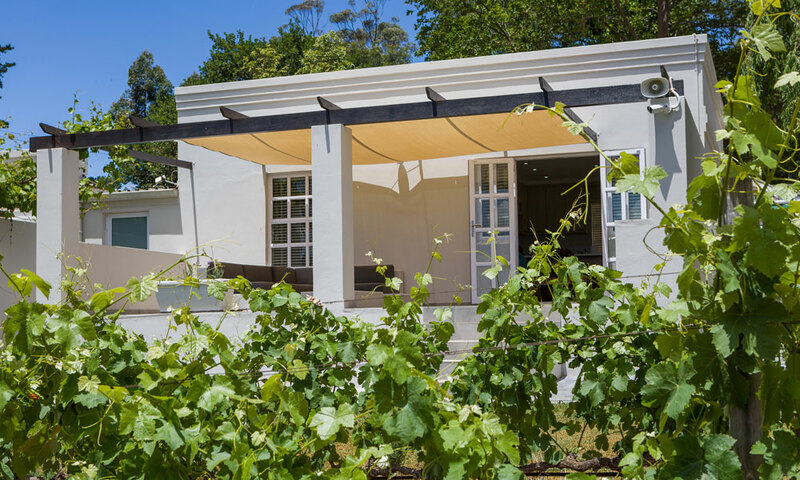 The grapes for the Kunjani Shiraz are grown in the Devon Valley ward of Stellenbosch, on the Kunjani premises, and visitors to the estate will be overlooking this Shiraz vineyard block when dining on the deck of their contemporary restaurant. 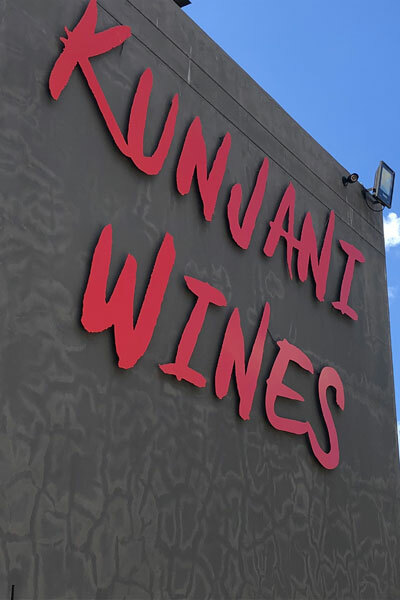 Kunjani Wines are available directly from the farm at R115 per bottle. 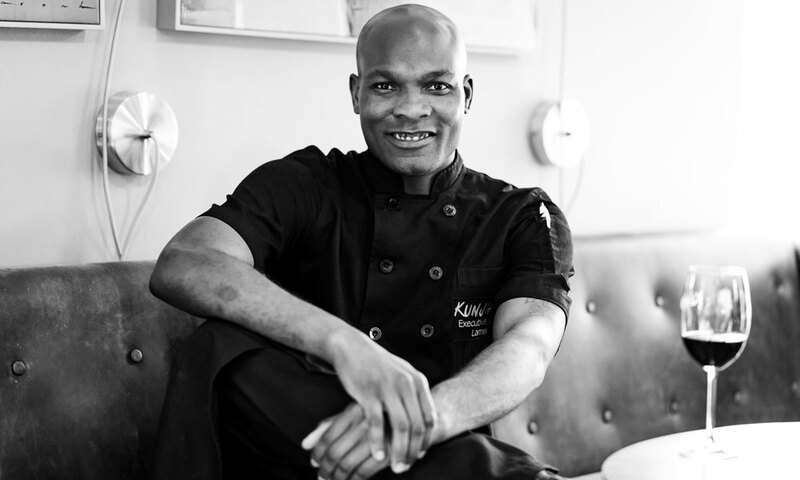 The menu, carefully curated by Mpumalanga born Executive Chef Lamek, is designed to be a FUN dining experience. 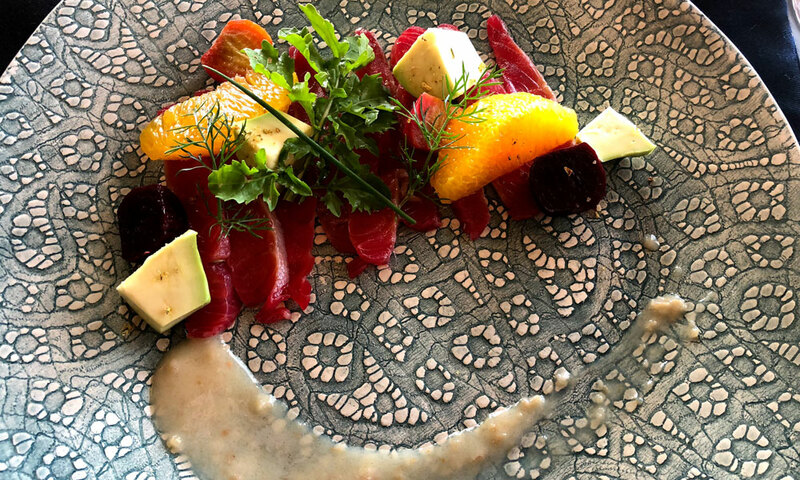 The dishes create an easy-going culinary experience that matches the wines and ambience. “I thoroughly enjoy creating dishes that are colourful and representative of spring. I am very fortunate to have an edible flower garden a few steps away from the kitchen” says Lamek. 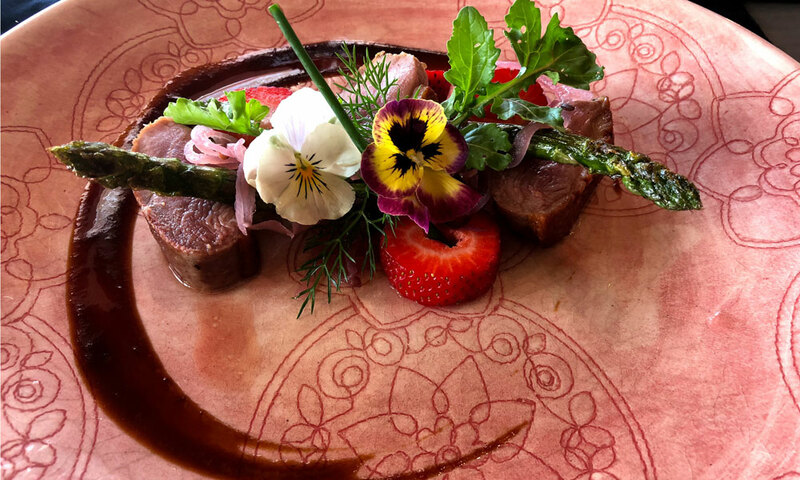 Each of their dishes has been created with the Kunjani Wines range in mind, making it really simple for guests to enjoy the appropriate wine with any of their dishes. 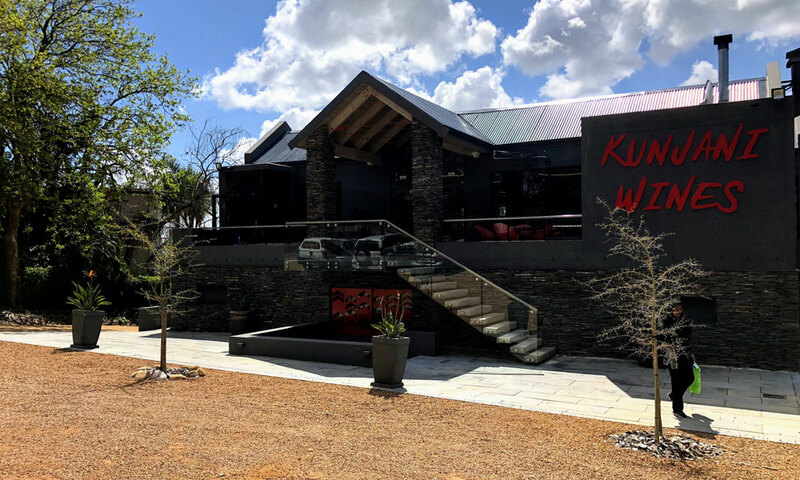 If you’re looking for somewhere to stay in the Winelands that is elegant and contemporary, with stunning views from their patios, consider Kunjani wines’ luxurious cottages. 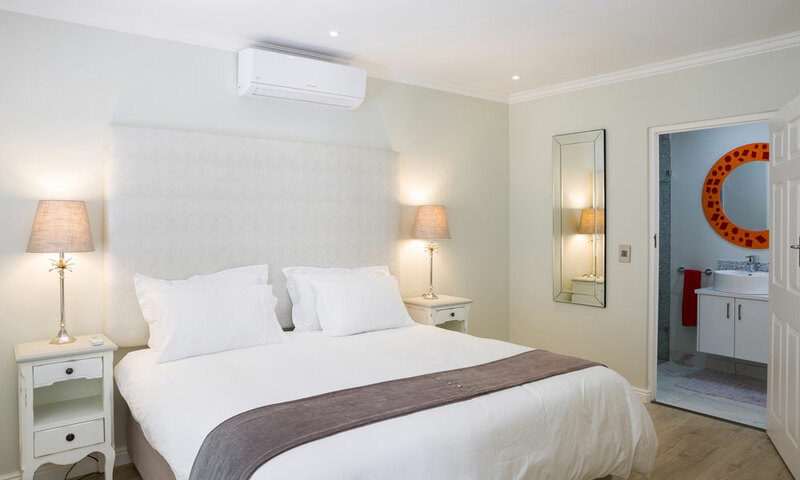 The four self-catering cottages on the estate each sleep either two or four people and prices range from R1 500 – R2 800 per night.